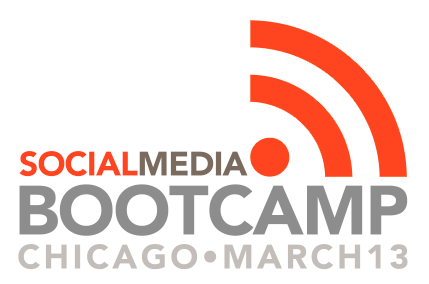 If you’re in the Chicagoland area (or if you know someone who is who might be interested in this), I wanted to let you know that I’m doing a Social Media Boot Camp next March. Last year, I led some Social Media Boot Camps when I was a coach with Social Phonics, and now I am striking out on my own to put one of these together. It really is something very helpful for pastors, administrative assistants, or even for a whole church staff to come to. We will spend part of the day working through social media strategy, figuring out why you want to engage with folks using social media, and then talk about the best tools available, and how to use many of them. I’ve found that people who are very new to the social media world get a ton out of it, but also people who think they’re pretty familiar with social media find out a lot of great information as well. All of the information can be found on the Eventbrite site. But it will run from 9am-4pm on Thursday, March 13 at Fourth Presbyterian Church in downtown Chicago. The ticket information is available below. Help me spread the word about this opportunity. Early Bird Registration ends December 31, 2013 – so help me get the word out to save some people money!